If a high quality outdoor counter height bar stool is what you are looking for, then you have come to the right place. Hanamint takes pride in their timeless classics and ever popular designs. 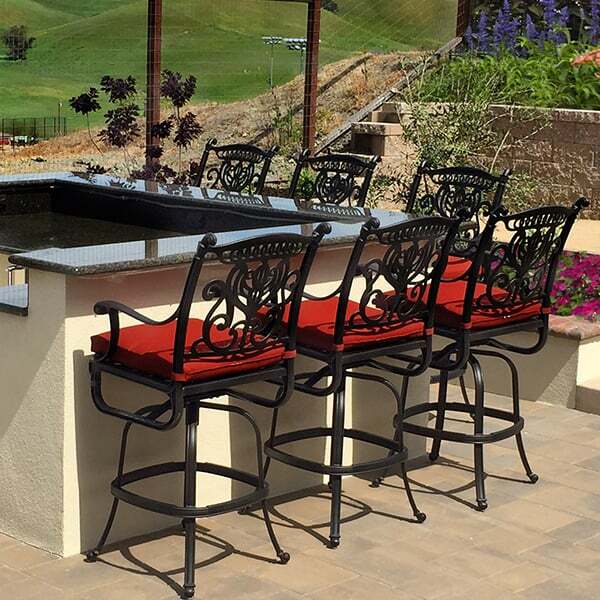 Dedicated to providing an excellent value with award winning craftsmanship, Hanamint is as good as it gets. 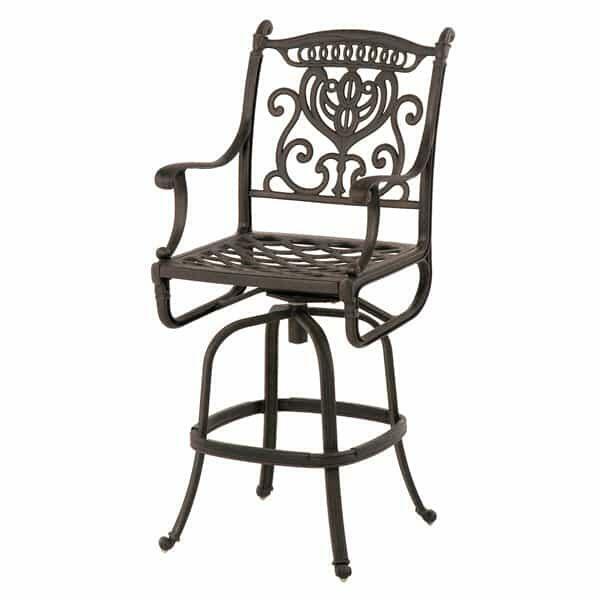 The Grand Tuscany Counter Stool is made of 100% top grade cast aluminum and has optional sunbrella all weather seat pads. 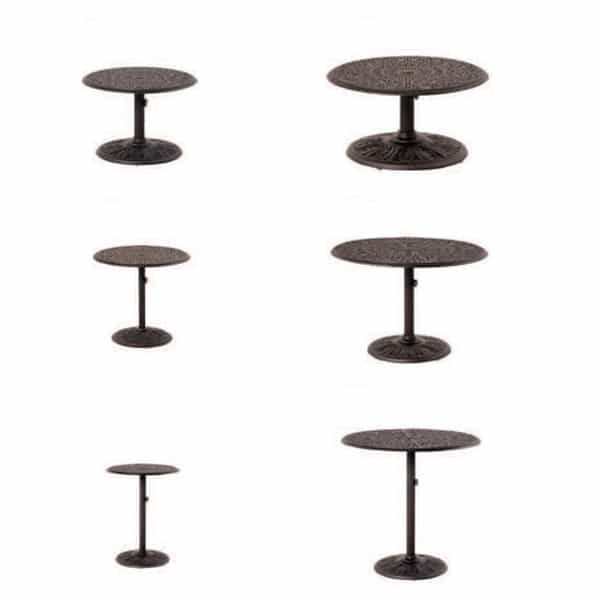 The swivel mechanism allows for comfortable seating for long periods of time and makes getting in and out of the stool much easier than a stationary stool. 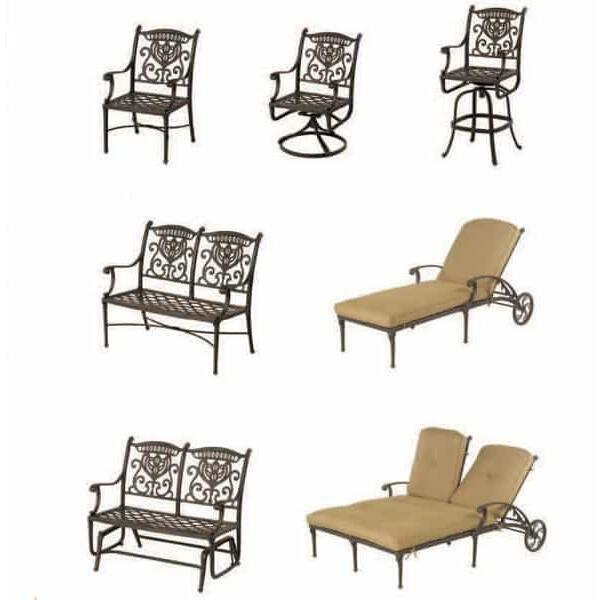 Simply put, when it comes to quality outdoor patio furniture, you cannot go wrong with Hanamint. 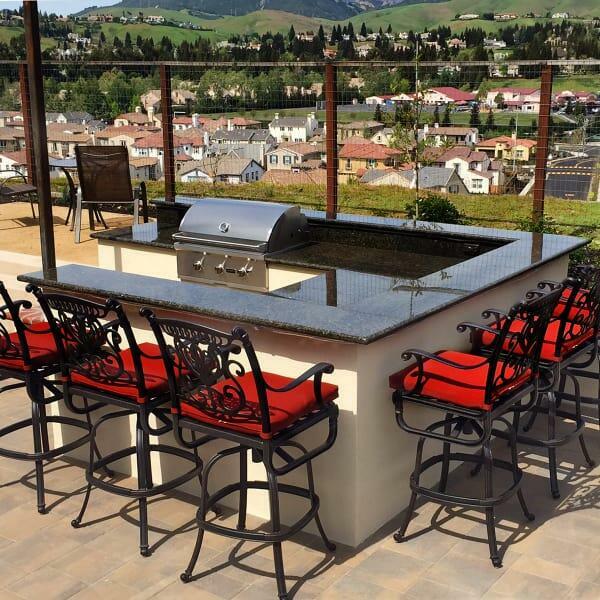 Also Available - 72" Counter Height Oblong Table and 6 Counter Stools.